Samsung has announced a long list of tablets for 2013, including the Google Nexus 11, Galaxy Note 8.0 AMOLED version and so on. 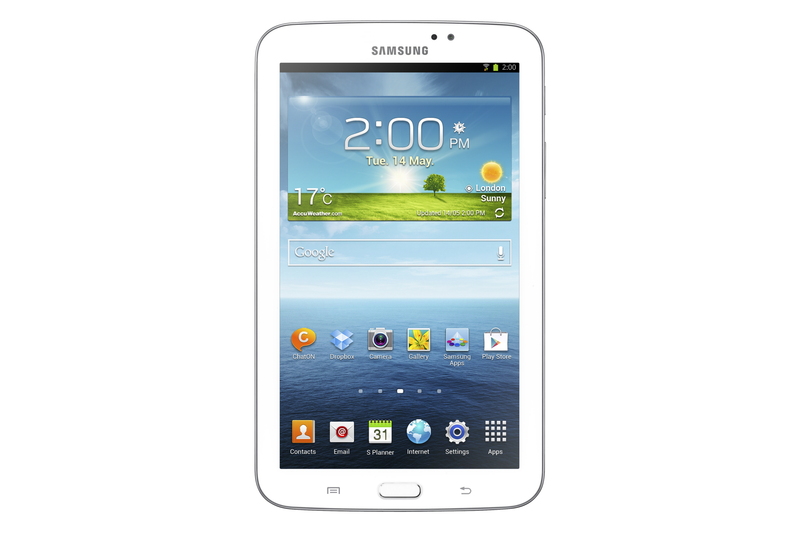 They’ve started of the year with the launch of the Galaxy Note 8.0 and now they have unveiled the Samsung Galaxy Tab 3. This 7-inch tablet has a much thinner bezel than its predecessor the Galaxy Tab 2 (7.0). Samsung have now focused their attention more on experience than size of the tablet, the compact design makes it easy to be held in one hand, as well as store in your jacket pocket or a small bag. This makes it a perfect companion for you if your continuously on the go. 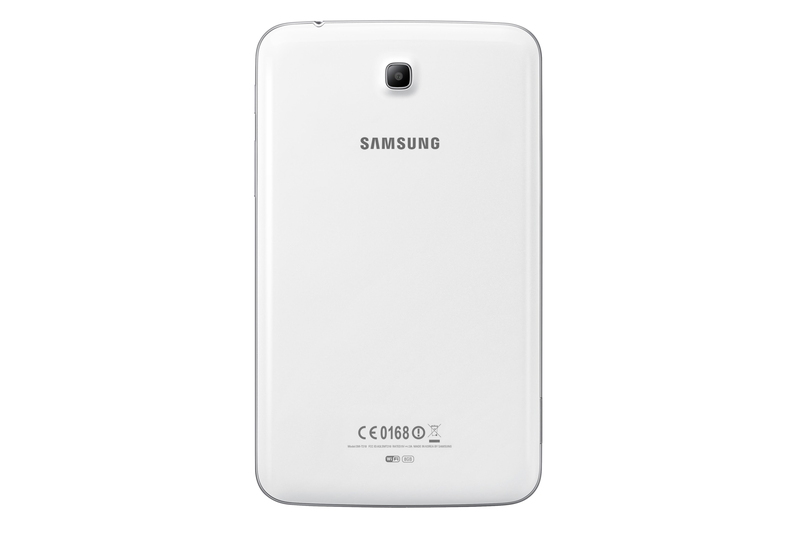 The Galaxy Tab 3 is powered by a 1.2Ghz Dual-core Processor, and 1 GB of RAM, which provides a much smoother and faster experience. The Tab comes with two memory options an 8 GB and a 16 GB version, not only that you get a micro SD slot which supports up to 64GB, so space will never be an issue. The Tab also features a 3 Mega Pixel rear shooter and a 1.3 MP front camera for video calls or Skype. The Galaxy Tab 3 runs on Android 4.1 (Jelly Bean), so you get all the cool features such a Google Now, which is like your personal assistant. 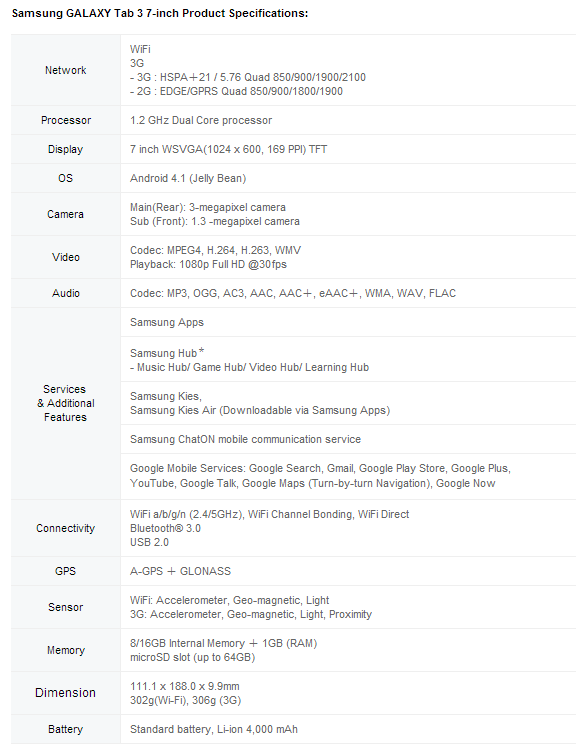 The Tab 3 will come in two variants a Wifi-only version and a 3G version, No confirmation from Samsung yet that if calling will be available on the Galaxy Tab 3 3G or not. Both the tablets will be available on the market by May and June respectively.